Discussion in 'iPad FAQ' started by iDan, Feb 1, 2010. 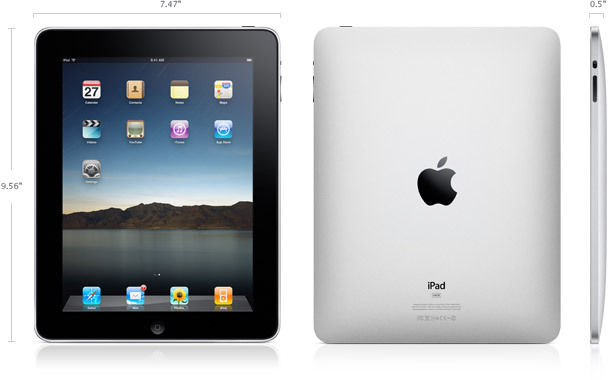 What are the Apple iPad Specs? 1.5 POUNDs!O_O. I can lift it with a pinkie! Good to hear its not going to get that hot if you use it for an hour. 64 Gigs isnt bad..too bad i cant store all the songs i listen to..
any word on how much RAM it will have? I'm guessing 512MB. My 3Gs has 256, so I think it will have at least 512. Here's to hoping!